Synopsis: This is a true story about two different men and the terrible traumas they suffered. How these traumas affected them differently and what they went through. How they both changed their lives for the better. How they now both share their stories to help others understand that there can be happiness. They both have dedicated their lives to help others to face life challenges. Alan is a professional Speaker, Coach, and the co-author of the award-winning book, The Magic Within - How to Transform Your Life. Alan has also co-authored another book with International Bestselling author, Robert J. Moore. 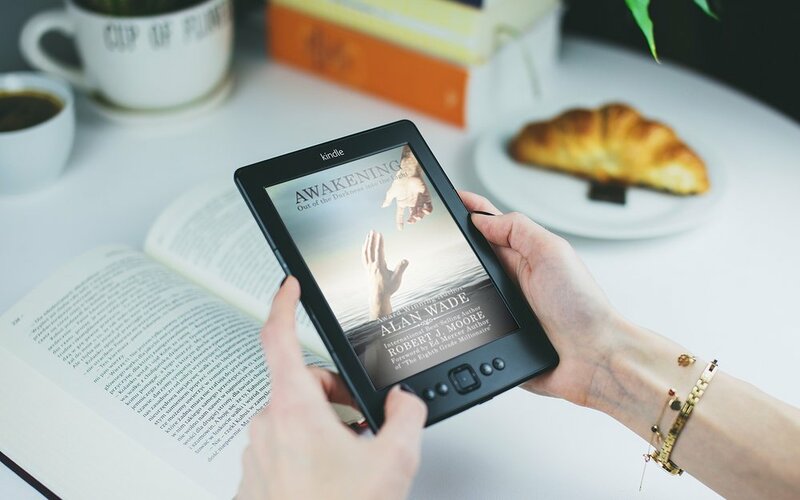 Awakening – Out of the Darkness into the Light. Alan has years of experience working in the addictions and mental health field. He shares his knowledge and wisdom at speaking engagements. He is known to use humour and common sense to connect with his audience and inspire change. His primary goal is to help others in overcoming their fears and motivating them to take the first steps towards transforming their own lives. In his books, Alan reveals his traumatic childhood experience of sexual abuse. He talks about this painful event and how he has overcome his past to the point that it does not negatively impact his life today. Alan specializes in First Nation culture, he is a certified practitioner of Neuro-Linguistic Programming (NLP), he is Reiki Master, and studies various other spiritual practices. He uses his education, real-life experience, and spiritual teachings to help others. Alan is a loving father and family man. He loves to travel. He especially enjoys riding his motorcycle and the adventure and freedom that comes with it.